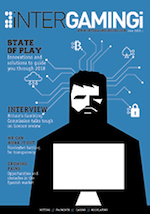 iGaming news | iNTERGAMINGi issue 1 out now! iNTERGAMINGi issue 1 out now! Big events are coming in pairs this February. Alongside the industry’s unmissable event in London, ICE 2018, the first iNTERGAMINGi of 2018 with the affiliates supplement is here! Read your digital copy now on your smartphone, tablet, Mac or PC. To read the latest issue of iNTERGAMINGi for leading igaming coverage and industry insight, click here. 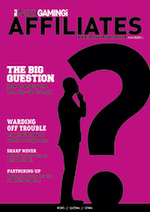 If our affiliates supplement is more your thing, click here. In the upcoming issue two, Payments take the spotlight. Within this section, fraud, cryptocurrencies, and emerging markets are all featured. Elsewhere, regulatory issues in Asia receive airtime, as does the igaming hotbed that is Malta. Finally, e-sports betting is weighed up by those who know the score.